The annual curtain raiser for the Mansfield Table Tennis League played at Ravenshead Leisure Centre was the most popular in recent history with a record 31 entrants (one third of all registered players for the upcoming season), and with 3 Juniors and 3 people Debut Dexter Fairbank, Nathan Hollingworth and Andy Vinson all making their Mansfield Debut and ages of entrants ranging from 14 to 86 it bodes well for a great season. The final result was no surprise with Dean Brookes taking his 7th Autumn Cup title beating his fellow team mate Joe Zygadlo 2-0 in the Final. The top 4 seeds also made the Semi-Finals with Kalpesh Bhatt losing to Dean Brookes and Kerry Harvey losing to Joe Zygadlo a reverse of the result from last year Semi-Final. 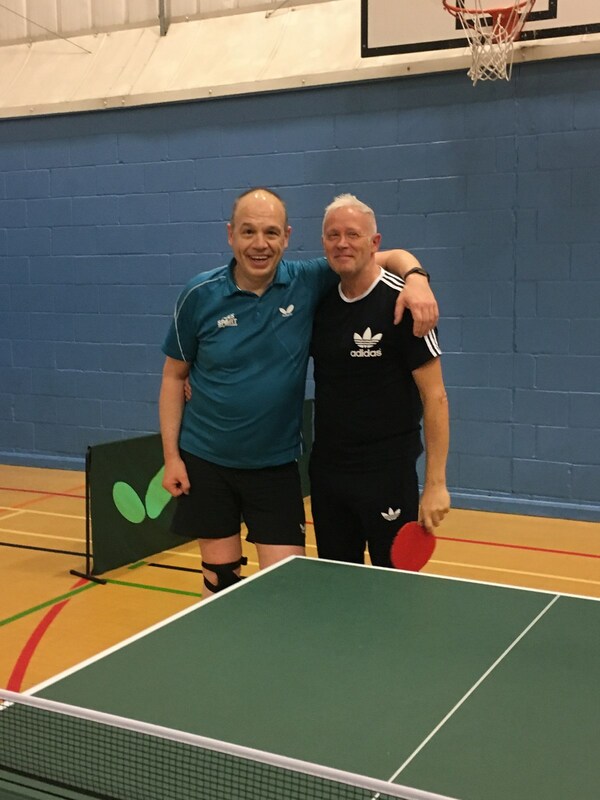 It was great to see 2 Division 2 players making the Quarter-Finals in Mark Sansom and probably the surprise of the tournament Nathan Hollingworth who on making his debut in Mansfield won 3 of his 4 group matches only narrowly losing 2-1 in his other. Beating Steve Oravecz and then taking the number 2 seed Kerry Harvey all the way in the Quarters just losing 9-11, 11-9, 10-12. Another plus was 14 Year old Dexter Fairbank also making his debut and only been playing table tennis for 2 months looks a real talent for the future competing well against some experienced players and claiming a win in his group.